I was at the Stair Galleries auction preview for the September 23rd auction in Hudson NY and took this photo. It incorporates a number of my favorite elements for an entryway - just bid on it all and instant entry! See Three easy pieces for a perfect entryway, and More on hall chairs. 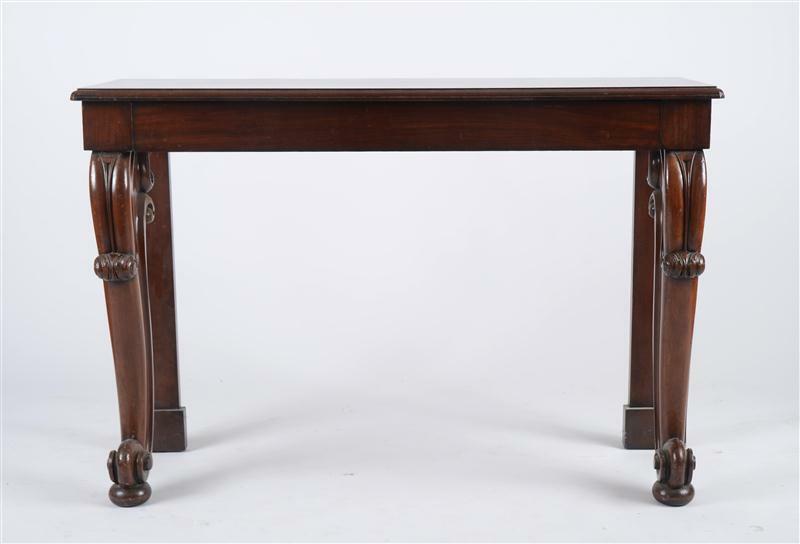 The console table is terribly elegant. This is a Regency carved mahogany table measuring 50 inches wide. It has an auction estimate of $300 - $00, and is Lot 7. 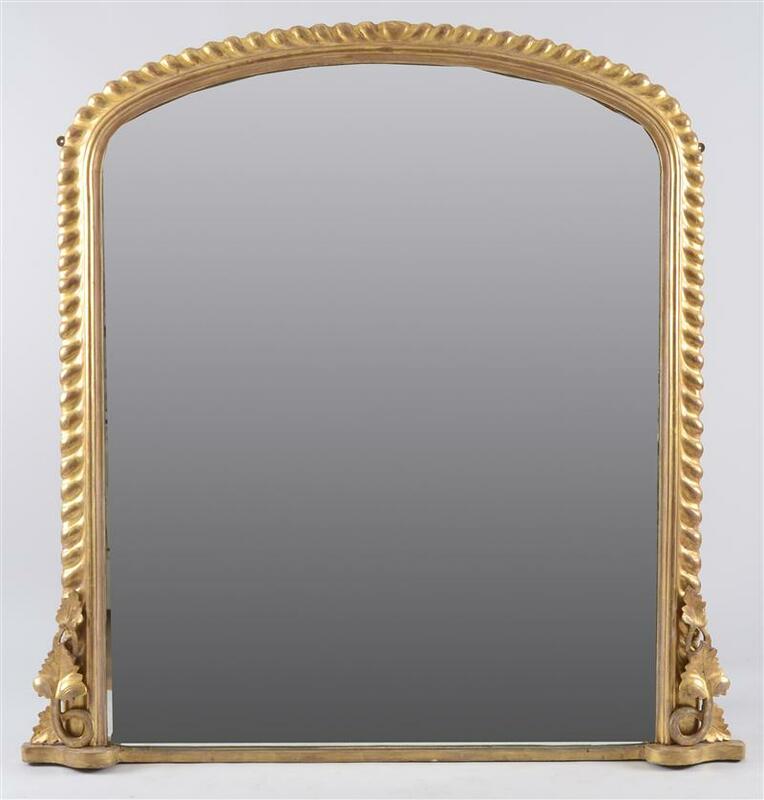 The giltwood overmantel mirror is Napolean III, and looks terrific with the console table. It's 62 inches wide and tall, and has an auction estimate of $1,000 - $2,000. It's Lot 24. 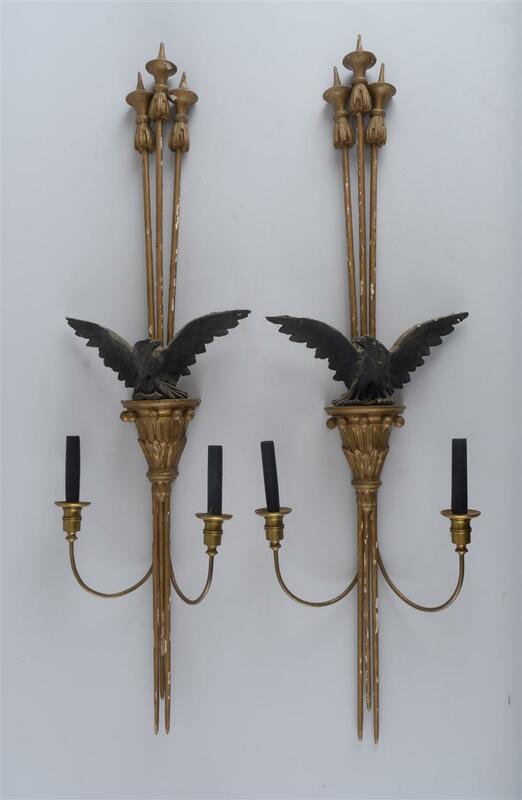 The sconces are very smart looking. 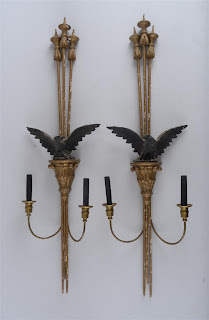 These are Federal style amd made of brass and carved wood. They are 42 inches tall, and have an auction estimate of $200 - $400. Finally the hall chairs! What is it about hall chairs that I love? I think they are such elegant entry elements, and more practical than you might think. 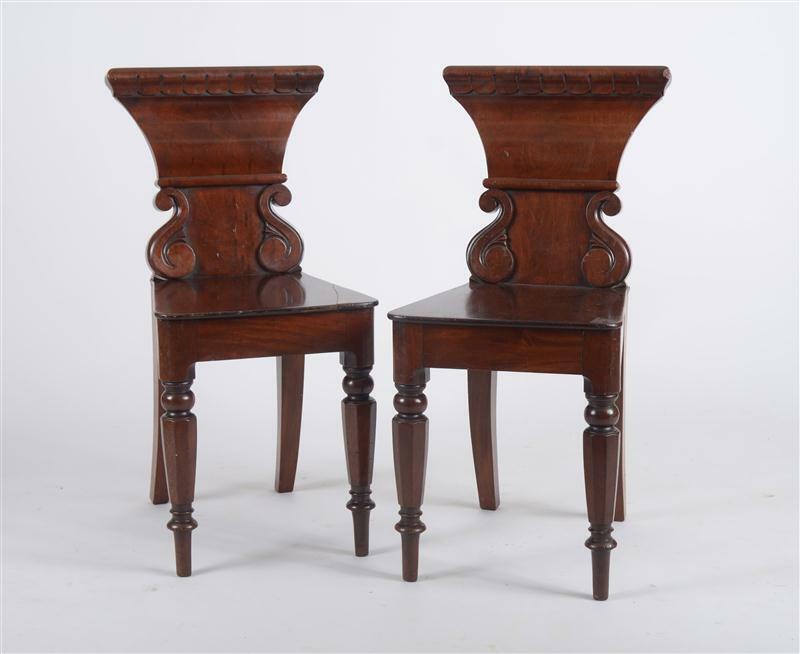 These are William IV style mahogany, and have a wonderfully shaped back, which is what makes a stylish hall chair. 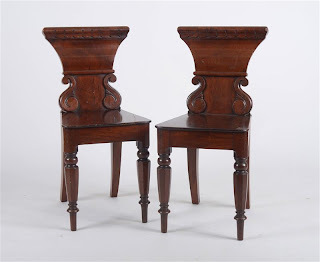 These are Lot 28, and have an auction estimate of $600 - $800. If you don't have time to bid at the auction (absentee or in person), take inspiration and keep your eye out for a similar look at auction!